GHENT, 14 Sept. 2016 – Awingu, a developer of online workspace aggregator software, today announced an extended partnership with Ingram Micro to make available its web-based mobility solution in Nordic countries, starting with the Sweden reseller channel. Awingu software aggregates all company files and applications into one, a secure online workspace that is accessed using any device with an HTML5 browser. It is a simple and cost-effective way for companies to implement remote access and BYOD with full auditing and data restriction capability but without the hassle of complicated plug-ins or software installation. 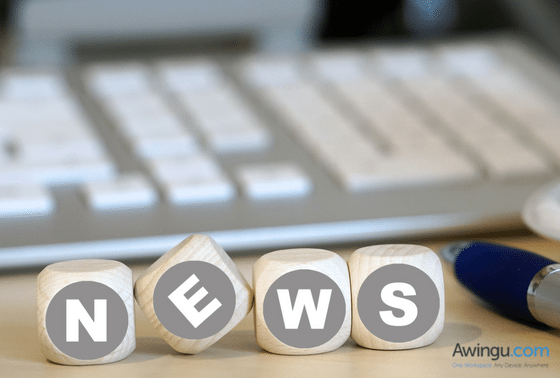 This new alliance extends the Ingram Micro relationship that was established one year ago with Awingu and allows both perpetual and subscription-based Awingu licensing to be distributed in the Nordics channel. Ingram Micro is at the forefront of the global technology marketplace and brings the latest products and services to market to bring value to its customers. The company supports global operations through an extensive sales and distribution network throughout North America, Europe, Middle East, Turkey and Africa, Latin America and Asia Pacific.